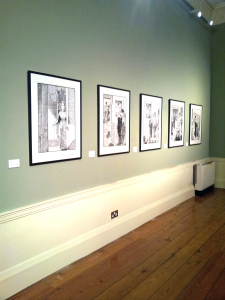 Thirteen ink drawings on display at the James Joyce Centre in 2015 were produced in 2014 by the American illustrator Robert Berry to mark the centenary of James Joyce’s Dubliners. 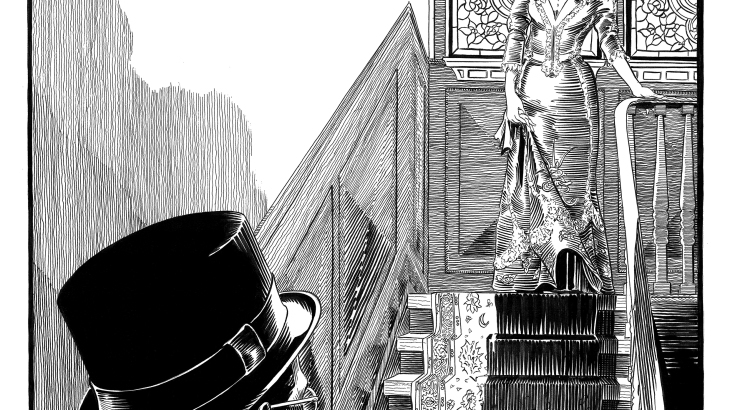 The drawings were commissioned by the James Joyce Centre to accompany a special edition of ‘The Dead’ produced by the fine art publishing house Stoney Road Press of Fairview, Dublin. The book is letterpress printed by hand on a Swiss proofing press and includes an introduction by Senator David Norris. ‘The Dead’, the final and longest story of James Joyce’s collection Dubliners, is recognised as one of the most accomplished short stories in the English language and stands as a deft, subtle portrait of everyday life in turn-of-the-century Dublin. Unfolding over an evening in early January 1904, the story takes as its subject the epiphanic revelations of Gabriel Conroy. The tale also presents an affectionate portrait of the social life of Joyce’s city, presenting an unforgettable cast of characters who have gathered at 15 Ushers Island for the Misses Morkan’s annual musical gathering. Following the party Gabriel and his wife Gretta retire to the Gresham Hotel. 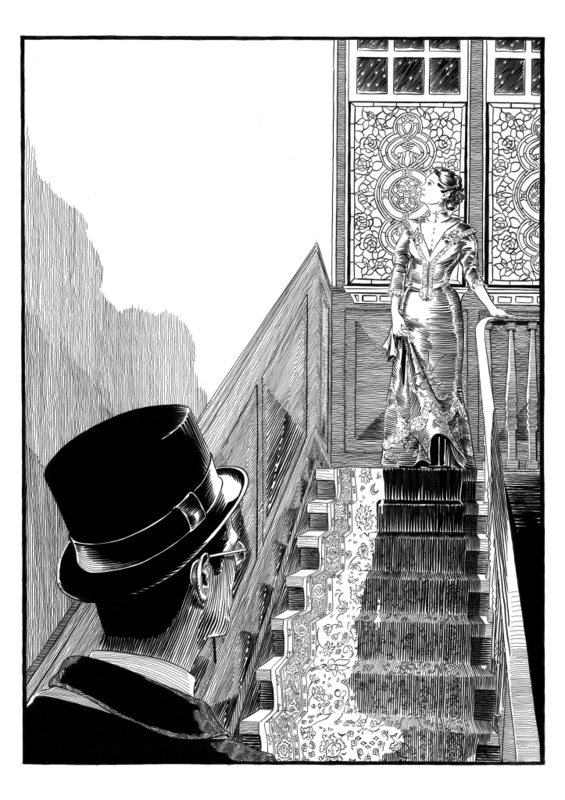 Peering out at the snow through a window of the hotel, Gabriel is faced with the realisation that the shallowness of his feelings for his wife have been overshadowed by the ghostly presence of her former sweetheart Michael Furey. The scene is both a beautiful rendering of one man’s spiritual awakening and a significant moment which deepens the structural unity of a collection concerned with the moral and metaphysical paralysis of a people. Celebrating its centenary in 2014, Joyce’s Dubliners had a difficult beginning. Joyce struggled to have his collection published over nine years, submitting the book eighteen times to a total of fifteen publishers. Writing to the book’s eventual publisher Grant Richards in 1906, Joyce stated that his intention was “to write a chapter of the moral history of my country and I chose Dublin for the scene because that city seemed to be the centre of paralysis.” This is perhaps best articulated in his masterful ‘The Dead’. Joyce's Works, News, Uncategorized. permalink.